Join Zaydo Potato and his sidekick Pepper as they embark on adventures to learn more about their Islamic faith. 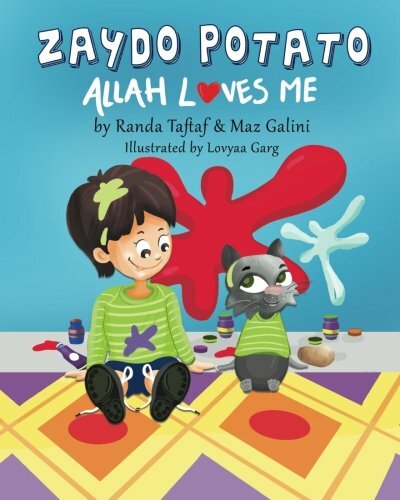 Zaydo Potato is an Islamic book series written by two Muslim-American, fun-loving parents who aspire to educate, empower, and inspire Muslim children through the power of storytelling. Enjoy searching for the potato hidden in every spread and the other fun, educational, engaging activities in the back of the book. Also, don't forget to download the FREE EBOOK with every paperback purchase! These stories make great gifts during Ramadan, Eid Adha, Eid AlFitr, baby showers, and much more. Salams and happy reading! Zaydo Potato: Can Allah See Me Now? and our newest Zaydo Potato: A Muslim Superhero! Don't forget to like our Zaydo Potato page on Facebook for updates and freebies! If you have any questions about this product by Rummana Publishing Inc, contact us by completing and submitting the form below. If you are looking for a specif part number, please include it with your message.